A simple mistake put a reputable childcare center in the middle of everyone’s worst nightmare… the death of a young child. An employee at the facility, who had worked there for several years, placed a 3-month-old child down for a nap on her stomach. When she returned to check on the child an hour later the infant was unresponsive. She immediately called 911, but it was too late. An investigation into the infant’s death ruled that the death was caused by SIDS. Sudden Infant Death Syndrome, most commonly referred to as SIDS, is the sudden and unexplained death of an infant less than one year of age. Deaths from SIDS are also defined as being unexplained after performing an autopsy, examination of the scene of the death, and an investigation into the infant’s medical history. SIDS usually occurs during sleep and is occasionally referred to as crib death. The exact causes of SIDS are unknown, but studies have shown that certain conditions and factors make children more susceptible to SIDS. 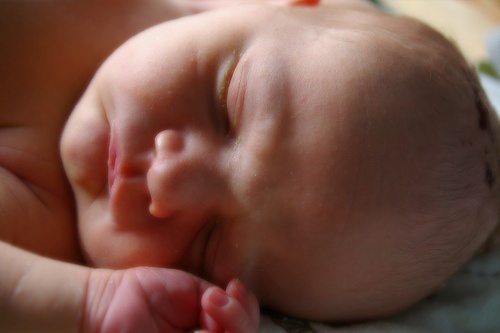 The two major factors that can increase an infant’s chance of suffering from SIDS are physiological and environmental. It is important to communicate with parents and guardians regularly to determine if any of the children in your care have experienced any of these conditions that can contribute to SIDS. Premature babies or babies that were part of a multiple birth are statistically more likely to die from SIDS than other infants. This is believed to occur because babies’ brains have not developed properly and they are less likely to be able to fully control their breathing and heart rate. Very young infants known to have been premature or suffered from low birth weight must be monitored closely. Many infants that died of SIDS had often recently suffered a cold or illness that caused breathing problems. If a child appears sick or has recently been sick it is a good idea to talk to the parents to determine the type of illness and to monitor the child closely. There are many other physiological conditions that can contribute SIDS, but are undetectable and poorly understood. Some of these conditions include brain and lung development. These causes cannot be controlled and are out of the power of childcare providers. Babies placed on their stomachs or sides may experience more difficulty breathing than babies placed on their backs. The easiest and most effective way to protect an infant from SIDS is to always position an infant on their back for sleeping. Avoid the stomach or side sleeping position at all times. A baby’s sleeping area is another major factor in SIDS. An infant’s sleeping area should be free of blankets and stuffed animals and the sheet should fit the mattress tightly. The mattress used should be firm and not be a waterbed, have a fluffy comforter, or be excessively soft. All of these items can become lodged in an infant’s mouth and obstruct their breathing. Allowing infants to sleep with their parents or others also contributes to instances of SIDS. Infants should never be allowed to sleep in the same bed as their parents and should always be placed in safe cribs for sleep. There are several factors that can increase an infant’s risk of SIDS. SIDS can still affect any infant even in the absence of these factors, but the presence of them indicate a heightened risk. If any children in your care have any or all of these risk factors it is a good idea to take extra care when putting them to sleep and to monitor them more frequently.